After clearing out the last of the Thanksgiving decorations, it's time to search for the holiday decor and those dreaded, always tangled, twinkle lights. This time of year the night skies are filled with bright and colorful lights that bring a festive feel to the air. Everywhere you look you can find either the simple and elegant white lights or the garish explosion of color from the over the top exhibitions. Both are beautiful in their own way and promise to capture the hearts of the young and the old. In your town there is sure to be that one home or that one location that promises an epic light show, but all over the states there are locations that outdo anything you've ever seen. Visit some of the best places to see holiday lights and illuminate your holiday spirit. For as long as I can remember, New York City seems to capture the true meaning of Christmas. We get that twinge of nostalgia from those classic black and white movies we still watch today. They show off the department store window displays that people would huddle around to capture a glimpse of their beauty, the hotels were dressed to impress and the downtown buildings adorned with only the most lovely decorations. This big city seems to soften somewhat once the lights go up and the garland is strung. Still today, people travel the globe to visit Rockefeller Center and the enormous tree that is lit each year. Dressed in thousands of lights and the always glamorous Swarovski Crystal star, the tree symbolizes the beginning of the wonderful season. New York City lines it's streets with seasonal lights and decor that promise a memorable trip. Stay at one of the Best Hotels in NYC and discover the seasons magic. Every child knows that the most magical place on Earth is in fact Disney World. When the weather is scorching and the farthest thing from most peoples mind is Christmas, Disney World begins it's planning process. In the middle of November, the crews start to hang the lights, more then 200,000 on Cinderella's Castle alone. 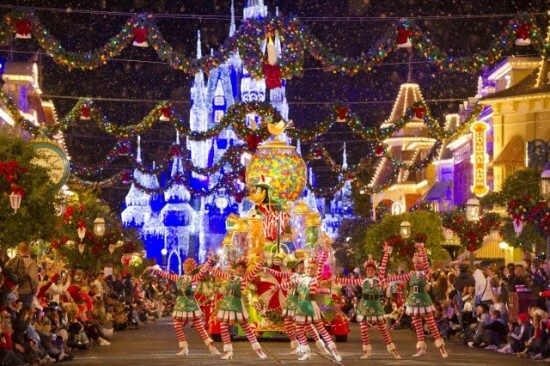 Millions of colorful lights are perfectly placed to make the most magical place on Earth that much more magical. Dancing lights can be found in the Hollywood Studio section, where the lights seem to dance to the music being played. As if that weren't breathtaking enough, each show is capped off with a dusting of fluffy white "snow". Head to Orlando, Florida and stay in the Best Hotels in Orlando to experience this fantastic display. Another fine spot to take in the impressive light displays is the Magnificent Mile in stunning Chicago, Illinois. More then half a century these gorgeous lights have adorned this stretch of street to kick off the holiday season. More than a million lights can be found dressing the trees that line the street. Along with the trees, the shops and businesses located here also dress up their storefronts to create a seasonal feel. Add a little of the quite common lake effect snow and you have the ideal holiday scene. 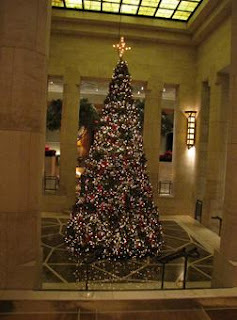 Stay at one of the Best Hotels in Chicago and capture some true Christmas cheer. If you are looking for a white Christmas, you will most likely NOT find that in Newport Beach, California. Here the days are sunny and the weather warm. Instead of Santa being seen on a sleigh, he can be found waving from a passing yacht at the Christmas Boat Parade. This annual holiday tradition has been going on for over 100 years and draws over a million spectators. 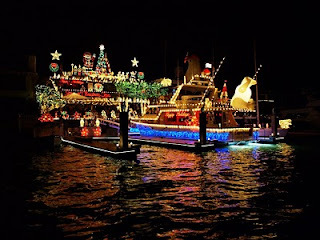 Five nights of the water being lit up from the twinkle light adorned boats. Every boat shape and size can be found fully glitzed out in color. Even the bayside homes and businesses join in the festivities and create a truly lovely parade backdrop. Head to Newport Beach and you will enjoy the holidays in the sand and surf. Stay at one of the Best Hotels in Newport Beach and have a amazing Christmas vacation. Each and every year people traipse through their basements and attics in search of their boxed up holiday decor. Even though decorating can be quite overwhelming, the lights somehow shine bright enough to bring hope and beauty to almost everything around. Create a new family tradition and travel to one of the country's best holiday light displays. At WhatAHotel! we hope to help you create memories that will last a lifetime. Happy Holidays Everyone!